We are a member of Move Assured - What is Move Assured? 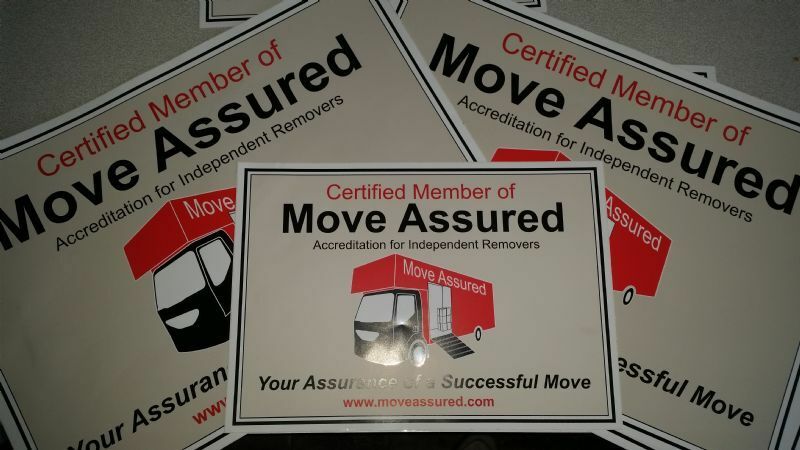 If you are looking to move house soon and have started contacting removal companies, you may have seen the name and logo “Move Assured” mentioned on some of their websites. When choosing a removal company, it’s important to go for a reputable company that you can trust – but what is Move Assured and why are removal companies so keen to be associated with them? Here, we take a closer look at this organisation and the work that they do to give you a bit more information. Move Assured are a trade organisation who work to promote professional independent removal companies from across the UK and beyond. Established in 2013, they aim to give customers peace of mind that the firm they have chosen to use for their move is reputable and trustworthy, and that they will provide them with an excellent service too. UK removal companies can apply to be members of Move Assured. Here, they are checked and verified by the team, and they need to ensure they have sufficient Goods in Transit, Public Liability and Employer’s Liability insurance in place to be considered for membership. Feedback from customers is also constantly monitored to ensure that the service they are delivering is of a high standard. On the Move Assured website, customer feedback for different members can be viewed, which can give movers a good overview of the company in question and the quality of the work that they do. To find out more about Move Assured and the removal companies who are members, you can visit their website here. When it comes to moving house, at Gentlevan Removals we appreciate all of the time and hassle that’s involved – and that’s why we’re here to help! Why not let our team of removal experts take the strain? We are members of Move Assured too and so you can trust that your belongings are in the hands of the experts! To find out more about our removal service, contact us for a quote today!